CollectorsEdition.org » Blog Archive » You ever wonder why the Metroid Prime Trilogy released on a Monday? You ever wonder why the Metroid Prime Trilogy released on a Monday? The news page here on CollectorsEdition.org hasn’t seen much action in a while, but I received a phone call from one of the first industry contacts I made through this site. He was reminded of, and wanted to tell me, a little story that I’m sure most collectors will find interesting. You see Dave used to work for Scanavo; the company that manufactures SteelBooks; he recalled a story about when they were working on the first SteelBook to be released for the Wii: Cursed Mountain Limited Edition. Scanavo was working to get more publishers to use SteelBooks; As part of this they were working to get approval from Nintendo to do SteelBooks with some of their 3rd party publishers. There were some issues with this though. Nintendo; apparently, didn’t really like 3rd parties having Collectors Edition releases on their consoles, so it took some doing to get the green light from them. Even so far as requiring Scanavo to create special cartons that the cases would be shipped in. While most SteelBooks would ship in cartons of about 25, Nintendo required new unique corrugate cartons that would hold 12 and would survive all kinds of crazy drop tests. After all of that Nintendo allowed them to work with just one 3rd party publisher. 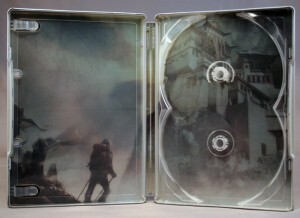 Wanting to start small they decided to work with Deep Silver on a SteelBook for the Cursed Mountain Limited Edition, a lesser known game that would have a very small release and an even smaller Limited Edition release. In-fact they were only going to produce 8400 copies of this SteelBook, which at the time was the minimum production they would allow. The project moved forward and the cases were shipped to Panasonic to be filled with discs and paperwork before moving on to retailers. Shortly there-after Dave got a call from someone at Deep Silver; there was a problem. They had ordered the production of the Limited Edition under the assumption that they were going to be sold through GameStop, only GameStop never actually agreed to buy them. 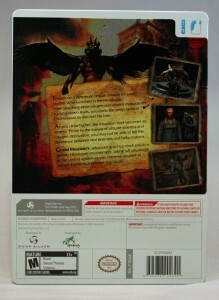 So now they had 8400 copies of the Cursed Mountain Limited Edition with no retailers to ship them to. They managed to get Nintendo to agree to buy some to sell through their official store and Amazon bought some as well, but the rest sat in a warehouse, some for over 2 years, while they slowly sold off the rest of the stock to smaller retailers and resellers and exporters. So what does all of this have to do with The Metroid Prime Trilogy? Cursed Mountain, like all video game releases at the time, was released on a Tuesday; October 25th 2009 to be exact. Remember how Nintendo didn’t really like allowing Collectors Editions on 3rd party games? Well, not wanting to have Cursed Mountain Limited Edition be the first SteelBook released on the Wii they bumped the release of the Metroid Prime Trilogy to Monday, October 24th; one day ahead of Cursed Mountain, on a non-standard release day, just to ensure that a the first SteelBook on the Wii was also a first party title. Looking at how these two SteelBooks are viewed by collectors today is rather interesting. 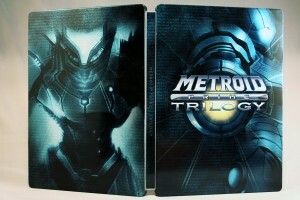 The Metroid Prime Trilogy SteelBook had at least half a million copies produced, yet today on the collector’s market it still commands a much higher price than the Cursed Mountain SteelBook; which, knowing what we know now, was produced at the lowest possible quantity, and not knowing what happened to most of them it’s arguably one of the most rare SteelBooks; certainly the most Rare on the Wii. So, the next time someone tells you they have a rare SteelBook, ask them if they’ve ever heard of Cursed Mountain. Very interesting! Hope members will post more stories like this in the future! 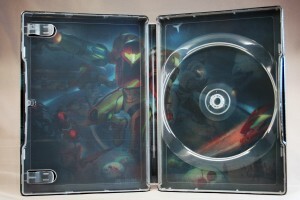 this was very fascinating to a video game steelbook collector myself!..i had no idea there was another steelbook for Wii outside of the Metroid trilogy..thank you very much for posting this!..i enjoyed reading this write up! Wow! 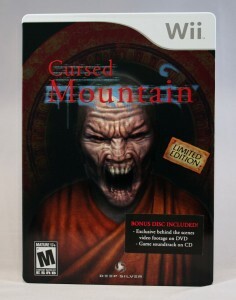 I think I'll try and get my hands on a unopened copy of cursed mountain Limited Edition now! I had no idea so few was made.